The challenge of measuring product marketing success is not a new one. Nearly every marketing leader I’ve asked about measuring product marketing impact has stated how difficult it is. Especially with marketing moving more and more in the direction of data-driven decisions and results, it becomes quite the challenge when marketers are unable to attribute tangible results to a team’s effort. While it is difficult, it is not impossible, to measure the impact of product marketing. In fact, we may simply be at the earliest stages of developing tools and strategies for measuring the role. Product marketing is a diverse function serving many different stakeholders, and the role and priorities can vary significantly from company to company. For a sneak preview, here are key metrics being used by the best marketing teams today. While even the most experienced (and humble) marketers will admit metrics are a constant work in progress, there are already some common approaches to measurement. These key product marketing metrics typically fall into three areas. Pretty much every product marketing team will list overall revenue among their metrics, a reflection of the diverse nature of their efforts that are ultimately meant to impact this goal. This includes new acquisition and upsell/cross-sell/retention targets, and depending on the business and organizational goal, there will be a different level of focus on each. This can also trickle down into related goals, like number of new customers acquired, retention rates, and average revenue per customer. Sales success as measured by win rates is a key contributor to the company’s ability to hit revenue goals, and can more closely reflect product marketing’s efforts. 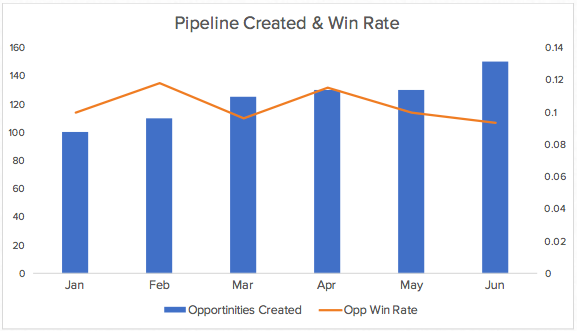 Measuring overall win rates as well as slicing this data by sales team, product, and competitor, can uncover strengths and opportunities and more closely direct and recognize the effort of the product marketing team. Product launches are a microcosm of the product marketing’s go-to-market strategy. They represent a focus on driving awareness, demand, sales, and usage of a new product or feature. As such, product marketing can set specific goals around each of those areas in conjunction with other teams like demand gen.
Be sure to set a timeframe for product launch metrics - for example, to increase Feature X usage by 10% within 90 days of launch. This is key for helping attribute results to the launch effort, and to be able to close out the campaign and report on results. Product usage is another metric that can lead to overall revenue, specifically if the company has identified that usage of features A, B, C correlate with higher retention rates, higher revenue, or more upsells/cross-sells. 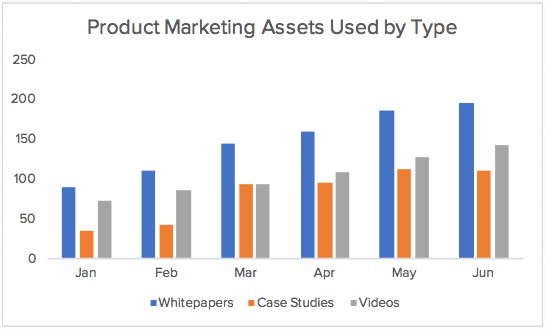 Tracking product usage is likely a shared responsibility with product management, and product managers may very well also be tasked with improving certain usage metrics. Product marketing, however, may lead campaigns around improving usage of key features in order to impact retention and revenue. 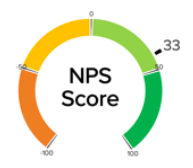 Similar to product usage, customer happiness metrics - such as NPS (Net Promoter Score) - can correlate with other key revenue metrics and be a relevant product marketing goal. Retention rates are an even more direct metric to align customer happiness with revenue goals. Quantitative metrics don’t tell the whole story, so most teams will leverage qualitative feedback as well. Specifically, internal surveys to various stakeholders serve as avenues to measure the impact on each of the teams that leverage product marketing output. On a scale of 1 to 5, how supported do you feel? What assets (collateral, videos, etc.) have you used in the last month that have made you more successful? If Marketing could do one thing to help you succeed, what would that be? Compared to the previous quarter, how would you rate lead quantity and quality? Compared to the previous quarter, do prospects seem to have greater, less, or the same level of awareness of our company? Similar surveys can be run to get feedback from each of product marketing’s stakeholders - from sales to product management to executive leadership. External surveys can also provide useful qualitative feedback that can be turned into quantitative measures. For example, if product marketing is working on driving awareness of specific differentiation, surveys that ask prospects how they see each company in the market can show whether the differentiation efforts are or are not working. With any qualitative feedback, there’s an opportunity to both draw out quantitative measures as well as qualitative themes. The quantitative measures - e.g. 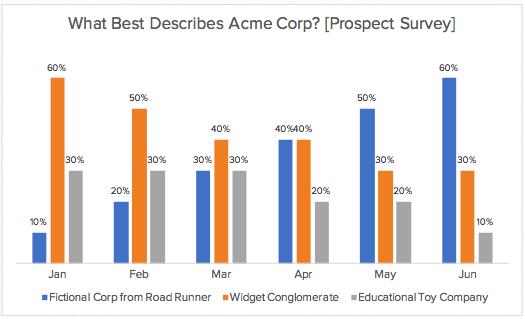 60% of prospects correctly described Acme as a fictional corporation from the Road Runner cartoons - can help provide concrete goals to target. And the qualitative themes - e.g. sales reps cited the videos have been great but wish they knew which video to send to which prospect - help provide actionable feedback and direction for potential action items. “When it comes to the qualitative vs. quantitative debate in marketing, it all comes down to balance. I’ve seen too many good marketers sacrifice quality to hit short-term goals, which only ends up hurting your team in the long run. If your primary goals are centered on producing quality work, the metrics will take care of themselves (to paraphrase Bill Walsh)." Finally, the most direct and tactical measure is usage of a product marketing asset, such as a datasheet or case study. If a piece of sales collateral is used frequently, that can be an indication that the sales team finds it useful. A similar conclusion can be made if the product team implements the input provided based on product marketing’s market analysis. 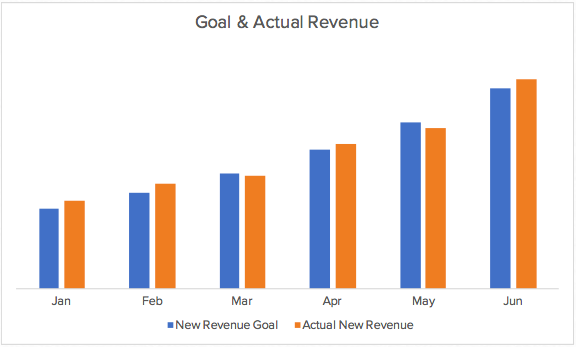 While this type of metric can be somewhat disconnected from bottom-line business goals like revenue, it can more directly reflect the value attributed to product marketing’s effort. Oftentimes, product marketers will choose a combination of metrics, or the key metrics at a given time will change based on current priorities and company stage. “When you're just starting out, measuring product marketing is a little bit more ‘Do we have X?’ and as you get more sophisticated, it's more ‘How is X performing?’"
It is product marketing's strategic and interconnected role that, while difficult to measure, leads to great business impact. Sitting at the intersection of many departments and executive leadership means that many of the above metrics have hints of each of those team's metrics. Whether you’re just establishing your product marketing metrics or a pro evaluating each of these key areas, we’ve turned the above into a guide and template to make this easier. Download the Guide to Measuring Product Marketing + Bonus Template here. Product marketing measurement is indeed a work in progress, but many companies are circling in on good practices around how to measure and report on the effect of this team. Have additional metrics or approaches that you use? Please reach out and share - we’d love to hear from you!